The Praise is for Allah, the one who has honoured us with the Qur’aan, and chosen for us the noblest of languages, and the peace and the blessings be upon the best one of the ones who articulated themselves in Arabic, and the most-preferred from the servants of Allah, Our Prophet Muhammad (Peace be upon him), and his family and his distinguished companions. The Arabic language is the language of the Noble Qur’aan, and with it, the Qur’aan was revealed upon the seal of the Messengers (sallallahu ‘alaihi wa sallam), so attention to the Arabic language is to have attention to the Book of Allah the Most High and the studying and the practicing of it helps in the understanding of the Noble Book of Allah and the narration of the master of the Prophets, Muhammad (sallallahu ‘alaihi wa sallam). It is also the language of our esteemed Islamic law (As-Shari’ah), so when we defend it we are not proceeding on a path of nationalism or racism or culturalism, but in fact we are defending the language of our religion (way of life) and it is the cloak of our Islamic Civilization. 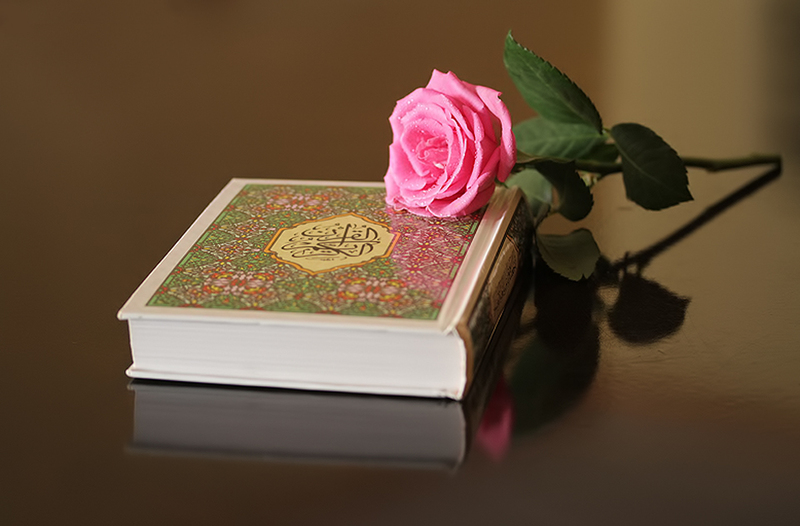 Despite this, many of the Muslims are content by spending their whole lives reading a translation of the Qur’aan and so depriving themselves of the miracle of the Speech Of Allah. Also, a translation implies a human factor, which goes against the very essence of the Book of Allah. Also, the person who does not know Arabic, will have added difficulty in his concentration during his prayers and in his understanding of the Sunnah. This is because a language is just not a collection of words which can readily be translated into another language but is a whole way of thinking. “It is a pity that many nations are only satisfied in the translated meaning of the Qur’aan and Prophet’s Sunnah instead of studying the (true) Arabic text of the Qur’aan and Prophet’s Sunnah. For this reason, they are divided into various sects (due to the lack of knowledge about the religion of Islam) e.g. as regards to the ways of religious education, etc. so they are plunged in differences, which was prohibited by Allah. If the translation of the meaning of the Qur’aan is meant for the above said purpose then it is a real mischief-doing, and an evil action and is against what was brought by Allah’s Messenger (Peace be upon him) and against the opinions of the early present day religious scholars. All the religious scholars unanimously agree that the Qur’aan and the Sunnah should be taught in the language of the Qur’aan (i.e. Arabic Language). So did the early religious scholars of the Muslim nation when they conquered different countries.